Already have your copy of The Mindful Vegan book? Click here for the Audio Guides referenced in Resources in The Mindful Vegan. Are you ready to get to the roots of your challenges around food–whether it’s mindless eating, gratuitous snacking, compulsive or emotional eating, indulging cravings, overeating, or other disheartening habits? Are you eager to find out how to navigate conversations with others about eating–and living–vegan, with greater clarity, equanimity, and presence of mind? We all yearn for living with greater ease, and finding a clearer pathway to being the change we want to see in the world. Longtime vegan advocate and mindfulness meditation teacher Lani Muelrath – backed by extensive research – teaches how a mindfulness practice can make the difference for living with greater peace and happiness. from the Foreword by Neal Barnard, MD. Read, implement, transform… and then pass along the magic! This book can heal you. ~ Kathy Freston, New York Times best selling author of The Lean, Veganist, and Quantum Wellness. The teachings found in Lani Muelrath’s The Mindful Vegan are life’s secret weapon to reduce your anxiety, stress, anger and fear and replace those negative emotions with peace, clarity, happiness and optimism. Practicing mindfulness has been especially helpful for me since going vegan as I’ve been able to navigate through the nightmare I woke up to with patience and understanding instead of resentment and bitterness. It’s helped me come from an encouraging and compassionate place when advocating to others and is a vital piece to the puzzle in making this world a more peaceful place, and I am glad to see mindfulness and vegan living brought together so brilliantly in this book. It will change, for the better, your experience of living. At this moment in history, more people than ever before have the freedom to consciously choose what we eat. Science clearly shows us that eating whole plant foods is the optimum dietary choice, and it turns out that what’s good for our health is also good for our planet and our fellow creatures. Eating a vegan diet is a win-win-win! But that doesn’t mean it’s always easy. In connecting the ancient practice of mindfulness with the business of nourishing ourselves, Lani Muelrath’s The Mindful Vegan offers a powerful tool to support readers in making the choice, each day, to live a more compassionate and healthy life. I absolutely LOVE this book. If your relationship with food has been a bit of a rocky road, it is a must read. Lani Muelrath brilliantly guides readers through a personal exploration that engages our senses and sensibilities. She provides a blueprint for mindfulness that establishes an honest, joy-filled connection with food, and with our bodies. Her goals are simple – health and healing for individuals; compassion and peace for the world. What a beautiful gift to us all. Lani takes conscious living up a notch with this beautiful guide whose ripple effects extend far and wide. Long before you finish, you will have a much deeper connection to your own compassion – and a much broader understanding of what it means to live mindfully. ~Colleen Patrick-Goudreau, bestselling author of The 30-Day Vegan Challenge and host of the Food for Thought podcast. Mindfulness is probably the most important practice we can ever undertake. The more we are able to be mindful, or present, the more we are able to feel authentically connected with ourselves and others. The ability to be present is at the heart of all healthy relationships: with other humans, with nonhuman beings, with the planet, and with ourselves. In this wonderful book, Lani Muelrath explains, with compassion and clarity, how you can eat and live more mindfully—and thus how you can transform your life. ~ Dr. Melanie Joy, author of Why We Love Dogs, Eat Pigs, and Wear Cows and Beyond Beliefs: A Guide to Improving Relationships and Communication for Vegans, Vegetarians, and Meat Eaters. The Mindful Vegan is a groundbreaking and compassionate guide that connects mindfulness practice to the larger ecological and health benefits of veganism. Its 30-day plan offers a beautifully thought-out approach to learning mindfulness that will help you investigate your relationship to food, dieting and self-care. This book could change your life (whether or not you are vegan)! Plus, I can’t wait to try the recipes. ~Diana Winston, Director of Mindfulness Education, UCLA Mindful Awareness Research Center and co-author of Fully Present: The Science, Art, and Practice of Mindfulness. As we see increasing numbers of people questioning the official stories of western culture, we’re also benefitting from the ancient wisdom traditions of the East. 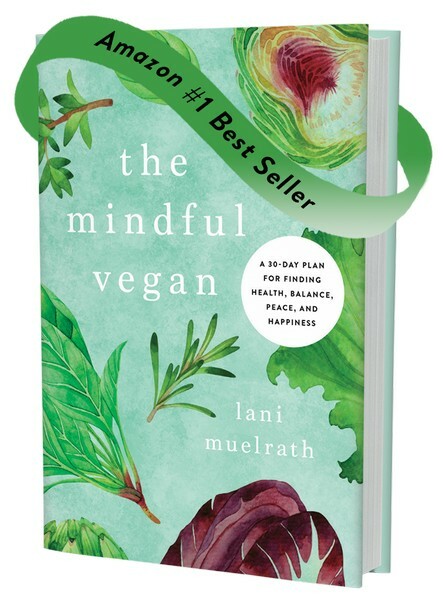 With The Mindful Vegan Lani Muelrath provides us with a rich program of helpful insights that illuminate two mutually-supporting pillars of this wisdom: mindfulness and vegan living. As a Zen monk in Korea in the 1980s, I was blessed to drink from this well of wisdom, and am delighted that Lani’s new book helps provide this crucial and missing piece to our culture today. The Mindful Vegan can transform your life, and would also make a terrific gift for virtually anyone. Recommended! Will Tuttle, Ph.D, author of The World Peace Diet, an award-winning best-seller published in 16 languages, is a visionary educator, musician, and presenter. The Mindful Vegan isn’t just a book, it’s Lani Muelrath herself. In the years I’ve known her, I have always admired how remarkably present she is in every moment. This book is a gift to those of us who desire the same presence of mind and shows us, in bite-sized steps, how to attain that with ease and joy. Miyoko Schinner, author of Artisan Vegan Cheese, The Homemade Vegan Pantry, and founder of Miyoko’s Kitchen. In over 40 years of conducting clinical research, my colleagues and I have shown that a whole foods plant-based diet (naturally low in refined carbs and fat), along with meditation/yoga, exercise, and social support (love & intimacy) can reverse the progression of the most common chronic diseases. The more illnesses we study, and the more underlying biological mechanisms we examine, the more reasons we have to explain why these lifestyle changes are so powerful and how quickly they may occur. The Mindful Vegan eloquently describes why, and how. Lani, you have done it again–with your latest book The Mindful Vegan you have created an evidence-based pathway to experiencing deeper joy, better health, longer life, and a greater chance for planetary survival. You draw out the best in us: courage, commitment, compassion, and choices of how to use our fork and knife with greater wisdom and mindfulness. The Mindful Vegan is a heartfelt approach to transforming life one bite at a time. Being conscious of a decision to honor your health, the life of animals, and our precious planet is the focus of this excellent book and can be a path to elevating the quality of our daily existence. A life with purpose is a key step to fulfillment and The Mindful Vegan is the key that can unlock that precious treasure chest of a meaningful and healthy life. These thirty life-shifting days with Lani Muelrath link sustenance with silence, nutrition with attention. You’ll finish this book knowing that you’ve made peace with food and you’ve made friends with yourself. The Mindful Vegan calls us to pay attention to the profound impacts of our food choices and encourages us to act in alignment with our humanity. This enlivening book inspires us to live with passion and purpose, and gives us the tools to make more mindful choices that are good for ourselves, other animals and the planet. Think about it, as The Mindful Vegan asks us, if we can live well without causing unnecessary harm, why wouldn’t we? Highly recommended. 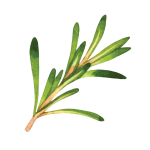 Lani Muelrath has been a source of information and inspiration for radiant health through plant-based eating. The Mindful Vegan is a beacon of conscious eating, healthy living, and caring for the planet–with a 30-day plan that will set you on the path of transforming your life. Warm and wise, informed by science and experience, The Mindful Vegan is a welcome invitation and map to connection with our minds and bodies, with others, and with the present moment. Watch for delight arising as you take this life-changing journey with Lani Muelrath as your skillful guide – and again when you discover the vegan recipes included after day 30. As a clinician, researcher and teacher who works on a daily basis to help people change their stress and emotional eating habits, I’ve seen first hand how powerful mindfulness can be in the food arena. The Mindful Vegan is full of heart, accessibility and practicality. ~Judson Brewer MD PhD, Associate Professor of Medicine and Psychiatry and Director of Research, Center for Mindfulness, UMASS Medical School; author, The Craving Mind, creator, Eat Right Now. Mindfulness is an incredibly powerful practice essential for becoming the best version of you. With Lani Muelrath’s The Mindful Vegan, you now have a brilliant, beautiful, and practical guide with over 30 days of tools and techniques for unlocking the door to the blessing that is mindfulness. In her third book, Lani Muelrath demystifies mindfulness and provides a creative toolkit of mindfulness exercises and meditation techniques that guide us to strip away our layers of habit to live more skillfully. The Mindful Vegan sets you on a path to cultivating your capacity for genuine happiness and a more peaceful life–in a way that is personally satisfying and aligned with your deepest values. This book is for anyone who wants to be free of frustrating and baffling eating behaviors, reactivity to stress and anxiety from life’s daily ups and downs, experience a new ease around eating, and discover their naturally healthy body and weight. Certified mindfulness meditation teacher, award winning health educator, and longtime vegan advocate Lani Muelrath has been practicing mindfulness meditation for 25 years. In The Mindful Vegan, she teaches you how to practice mindfulness and shows how it can bring freedom and a new joy to your eating–and living–experience. With step-by-step instructions, personal stories, positivity, humor, and a handful of delicious recipes, The Mindful Vegan will help you emancipate yourself from the stranglehold that mindless and compulsive eating have on your weight, health, food choices, and, most of all, peace of mind. With Lani’s guidance, you’ll learn the techniques of mindfulness meditation, opening the door to creating a more resilient vegan lifestyle. You’ll discover why eating in a way that lines up with your convictions about health, the environment, and ethics reduces stress and increases happiness. What’s more, you’ll learn to navigate conversations with others about eating–and living–vegan, with greater clarity, equanimity, and presence of mind. Stop stressing. Start living–and eating–mindfully. Your body and mind will thank you. Note: AUDIO SUPPORT: In your copy of The Mindful Vegan, you will find instructions for where to find audio support for each day of the 30 Day Plan. Lani has recorded guided meditations to accompany the book and provide instruction and encouragement every step of the way.